If you're looking for a Cross Over Hatch to stand out and enjoy life's little adventures then look no further than this Ex-Nissan Executive Driven vehicle! 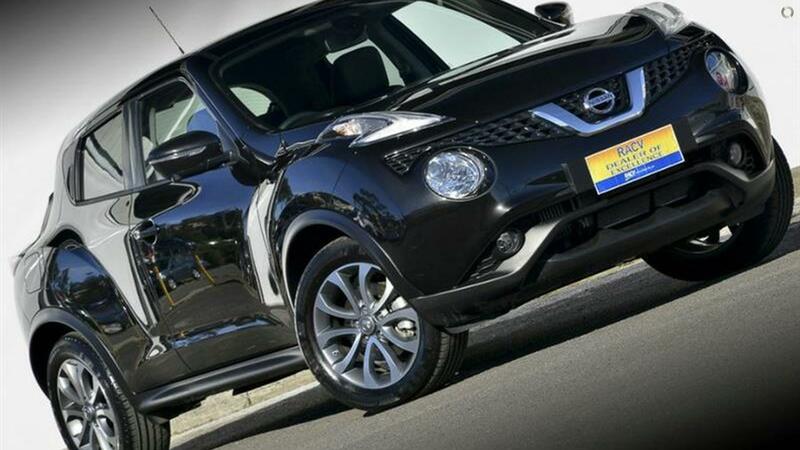 European Built and Designed Crossover SUV / Hatchback the Juke Ti-S reflects the high standards and quality of a European Vehicle especially with it's Nissan Intelligent Mobility to set itself from the pack. This AWD Auto Juke Ti-S is stunning in Pearl Black coupled with a well maintained Black Leather Interior to give you the comfort you've come to expect and finished off with Gorgeous Alloy Wheels. Added to package are the Balance of New Car Factory Warranty and the Balance of Nissan's Roadside Assist to really seal the deal. With fantastic standard Nissan Intelligent Mobility features like 7 LCD Colour Touch Screen with Satellite Navigation, Digital Radio DAB+, Bluetooth Phone and Audio Connectivity for both Apple and Android devices and Traffic Monitoring, Birds Eye 360 Intelligent Around View Monitor with Moving Object Detection, Keyless Entry with Push Button Start, Heated & Electric Front Seats and Torque Vectoring AWD system. Come in & Experience the Difference at Australia's Most Trusted & Awarded Nissan Dealer. We are the most awarded & applauded dealer in the history of Nissan's time in Australia receiving over 130 Dealer Excellence Awards, 13 Nissan Global Customer Satisfaction Awards, 4 VACC Dealer of the Year Awards and we are the only Master Platinum Dealer in Australia. Please call us anytime or send an email for a quick response from our sales team. We can accommodate all country or interstate customers and can conduct negotiations, organise finance and value your trade-in via telephone or email for your convenience. We have over 150 vehicles in stock available for immediate delivery. We are located in the South Eastern Suburbs, approximately 5 minutes from . If our distance is too far away, we can schedule a time to come to you if it is the car you are looking for. We are an RACV Green Light Approved Dealer of Excellence, locally owned and operated by Australia's most awarded dealer group. Our mission is to have No Unhappy Customers..EVER! *PLEASE NOTE: the vehicle features and options listed in this advertisement are automatically supplied by REDBOOK code for this make and model. These may not be specific to this vehicle. Please confirm options with selling dealer.